Use whatever engine you're comfortable with! Whether that's Twine, Unity, GameMaker, Renpy, RPG Maker, whichever you can make something in. If you don't like any engine, why not make yourself a pastel board game? Remember to keep things simple, come up with a basic action or short story, you can always add more near the end of the jam. Can you remember the ultimate sammich? Leave no penguin behind! Guide your penguins to safety across a marshmallow ice flow. pick some apples for a pie! A puzzle game about the way our childhood relationship with family members effects our adult relationships with them. Bake a cake for a new friend! Small puzzle game about taking a different angle at problems. A game I made about saying goodbye to my friends, and to someone very special to me. A very short and sweet game involving stargazing with your datemate! Explore a strange pastel world with a stranded alien. Making medicine and finding love? You're feeling like some coffee. You have a very difficult decision to make. 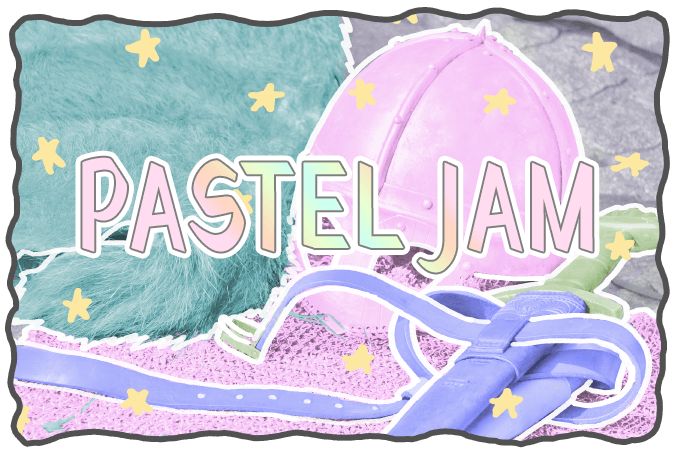 For Pastel Jam 2018.